Remember how I told you I had been a bit naughty and gone to a few stores and done a few hauls? Well haul #1 can be read here. But this my friends is haul #2 and quite possibly the most important once because it’s a Sephora haul. I spent so much on these items and picked some great things, even the cashier checking me out was jealous of my purchases! 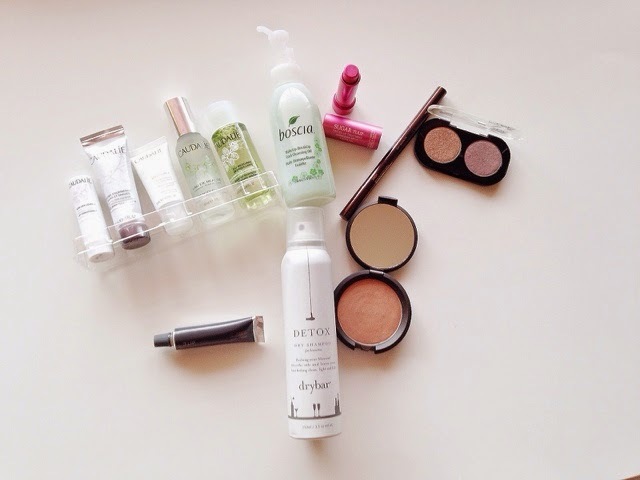 I needed all of these products- yes needed– and now I feel like I have so much to work with that I won’t need makeup again. Let’s be honest though, there’s no such thing as too much makeup. There’s always room to share it with family and friends, and then there’s always a need to have every shade of everything. Or is that just me? I am loving the Tulip Fresh Sugar Lip Treatment so far; it really gives you a lovely light pink shade while also moisturizing those lippy lips. 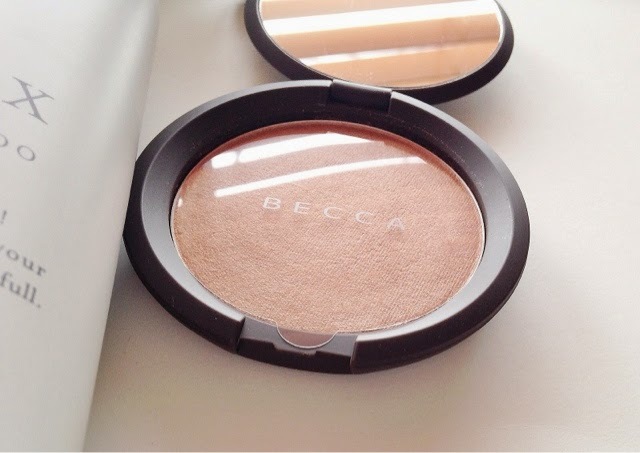 I am also loving the Becca Rose Gold highlighter; it’s absolutely gorgeous and I am so happy with it. 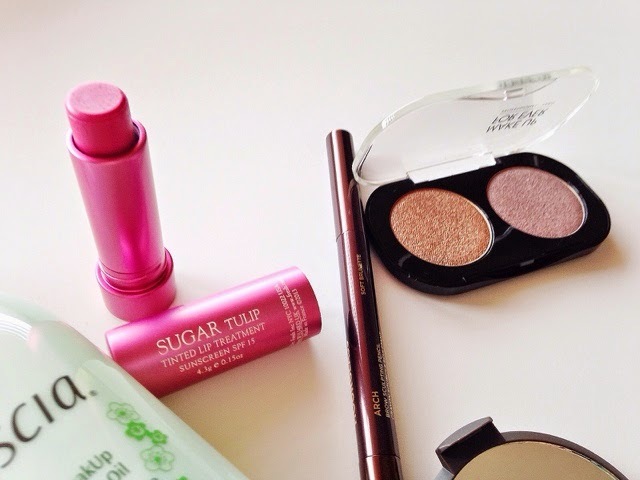 Hello to the highlighter I will no doubt be wearing the rest of the year! I was running out of my current Bite Beauty Lip Agave Mask (I use it every night) so I grabbed another one because I honestly do not think I can go to sleep without it on my lips. I decided to get a sampler kit of Caudalie as I’ve heard a lot of great things about the brand and I knew I wanted the Beauty Elixir as well as the Cleansing Water. When I saw the set, I knew it was better to try out some of the favorites all at once and then repurchase the ones I really loved. I have also heard a lot about Boscia, and I thought it would be good to try their cleansing oil as well. 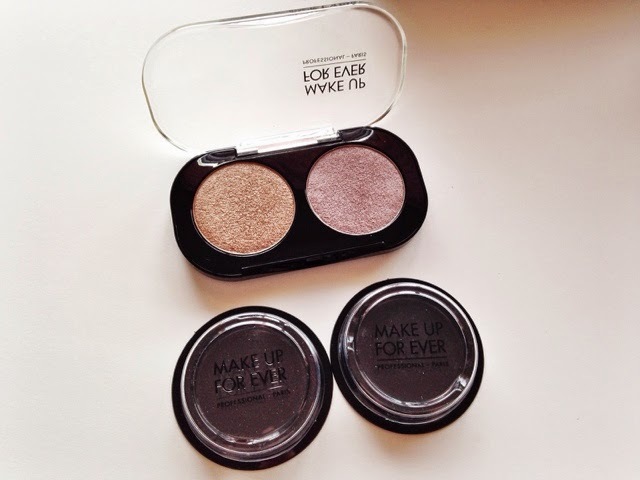 Once I had grabbed everything I had set in to find, I swatched the new Makeup Forever artist eyeshadows and was in love; all of the colors intrigued me and then when I saw how creamy and pigmented they were with one swatch, I knew I needed to have a few. The price for one doesn’t make sense so I decided to get two shadows for $34. The Hourglass brow pencil is something that many have raved about for quite some time; that and the Anastasia Brow Wiz. I decided to try the Hourglass one because it’s a thicker pencil and may be easier with my thicker eyebrow shape. 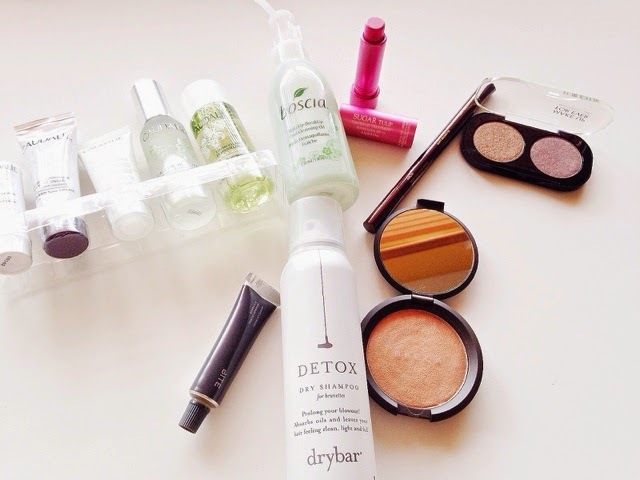 Lastly I saw this Detox brand of hair products and decided to try some high end dry shampoo. Although I haven’t had a proper chance to go through all of the products, there will be reviews coming soon! Have you been to Sephora lately? What are you eyeing for the fall?